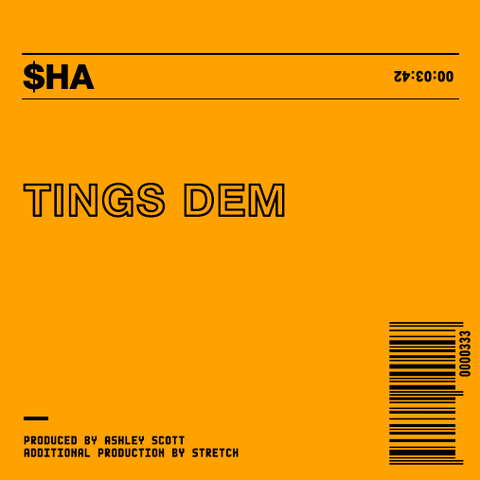 $ha Releases New Sounds "TINGS DEM"
Toronto native $ha delivers an addictive grime head Banger "TING DEM", just days after performing a sold out show with Skepta at the Danforth Music Hall, $ha delivers an infectious new wave while maintaining his signature sound. Past to present $ha continues to deepen his roots, as a core founding member of Reps Up and Roy Wood$ "UTU" crew, OVO affiliations abound. His New collaborations with Lyfe Harris, E-40, Droop-E, Julian Cruz and performances with Yung Lean; The young beast is going to dominate your playlist, because he’s already your favorite rapper’s, favorite Rapper.